U.S. History II covers the chronological history of the United States from Reconstruction through the beginning of the 21st Century. Primary Source Reading: Ronald Reagan "A Time for Choosing"
Cover Image: "Crowd outside nyse." Provided by: SSA. 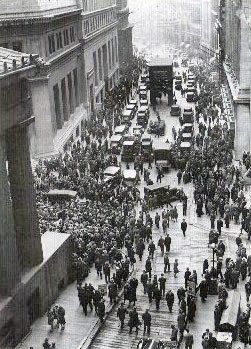 Located at: https://commons.wikimedia.org/wiki/File:Crowd_outside_nyse.jpg#/media/File:Crowd_outside_nyse.jpg. Content Type: Public Domain Content. License: Public Domain: No Known Copyright.